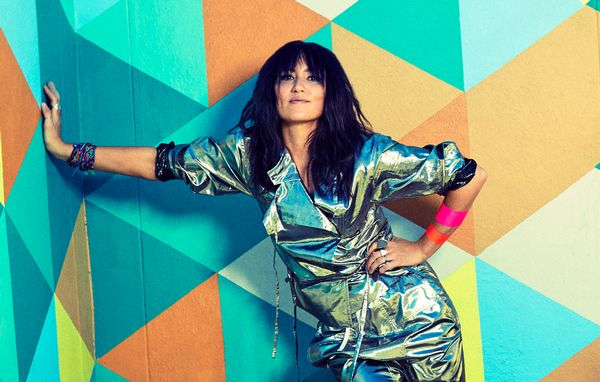 Spin This: "Maybe It's a Good Thing," "Hard Girls," "it Took Me So Long to Get Here But Here I Am"
Back in the saddle, Tunstall churns out KIN, an eleven-track collection that mimes the feel good L.A. indie folk-pop of the 2000s. With producer Tony Hoffer (Beck) on board and Tunstall once again in total control of the songs, KIN — recorded entirely in L.A. — bears a quality that sends listeners on a magical time warp into the sunny singer-songwriter pop bliss of Vanessa Carlton and Ingrid Michaelson. Distancing from the strange, but subtly comforting country of her last set, Hoffer allows Tunstall the space to create an elaborate haven for her trademark rhythmic folk to breathe in well-polished productions that aren’t vexed with too many add-ons. With a five-personnel max on each song and the multi-instrumentalist layout of Tunstall in tow, much of the tracks bear an acoustic readiness that feels purposed and well-intentioned. Things kick off with “Hard Girls,” a smart ear-grabbing pop sparkler that shimmies with melodic smartness. The next set of songs speak of Tunstall’s commitment of writing infectious folk songs using a cloudburst of dynamic lyricism. “It Took Me So Long to Get Here, But Here I Am,” for example, is a poignant celebration to a happy space, possibly back to making music. “Now I know, I know a few things/And I can feel it coming towards me,” she sings on the opening verse, seconds before soaring into the breezy chorus. The calming guitar plucks, Tunstall’s doubling backing harmonies and soothing tempo of “Turned a Light On” is just as rewarding to the mix. There isn’t exactly anything on board that sparkles with huge “Cherry Tree” marquee attention. That’s because the first half bears a distinct above-average soothing quality to it, nothing big and cocky. But if one was to do a treasure hunt, “Maybe It’s a Good Thing” would come off like a top finalist. It is probably the most loaded with Top 40 bait, thanks to its sing-a-long chorus and rhythmic midtempo glue. And there’s “Evil Eye” which shows off Tunstall’s rapid guitar plucks, set to a Pentecostal gospel fire that makes “Cherry Tree” appear lethargic. KIN is still a hard sell for the masses. It’s not really the songs’ fault. Most are good and rewarding to the listener. Actually, it’s only the spaced-out title cut that feels the most out of place. And it’s not a bad piece of work; it just doesn’t necessarily match the grandeur of what comes before it. Shy of big hiccups, KIN still feels like a time capsule of sorts, reminiscing on the innocence of decade-old diary pop and the angelic simplicity that came with it. She’s good at making this type of music, especially those with a rollicking blue-eyed soul tint (see “Suddenly I see” from her big debut disc). 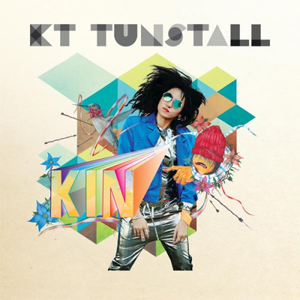 The disc might not connect strongly with the genre-bending currents now dominating the pop scene, but it’s a satisfying, easy-listening collection nevertheless and a return to artistic form for a once-burnt out Tunstall.